Thanks for visiting my site. I hope you enjoyed my interview with John Lee on the Entrepreneur On Fire podcast! I believe it's my mission to change the world - one person at a time, one family at a time. But before you can navigate the seas of family life, you have to get your own heart set right. Enter: The Golden Second. 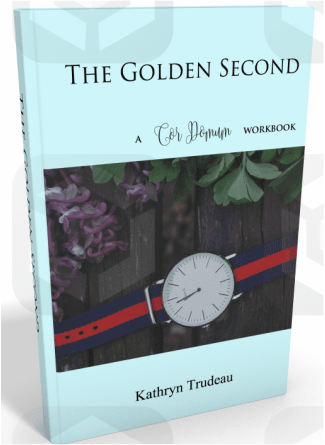 This mini workbook is designed to help you appreciate your life- one glorious second at a time. Learn your strengths and weaknesses and how you can learn to live more joyfully. It's a short book, designed to give you a start. To plant the seeds that will bear joyful fruit in your family life. Are you up for the challenge? Grab this free, printable self-guided reflection. Then, brew a cup of tea, and explore the seconds of your life. When you have finished, I hope you have some ideas to help you enjoy you life a little bit more thoroughly. Remember, you are not alone! Join our community and stay in touch! We are all navigating the sea of family life together!